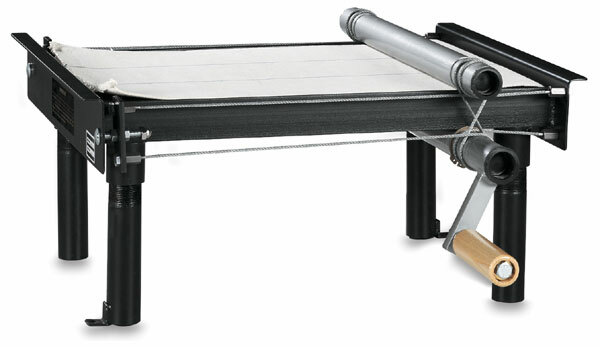 Portable yet extremely sturdy, the Brent Mini SRC Slab Roller is compact enough to fit on a table while rolling out slabs up to 14" wide × 15" long. It is constructed of steel pipe and bent pipe, so it will last for many years. The patented cable drive system with opposing rollers produces even pressure along the bed. The Mini SRC includes one 1/4" shim with canvas and two 1/8" thick shims. It will roll slabs up to 3/4" thick. Shipping weight is 63 lb.